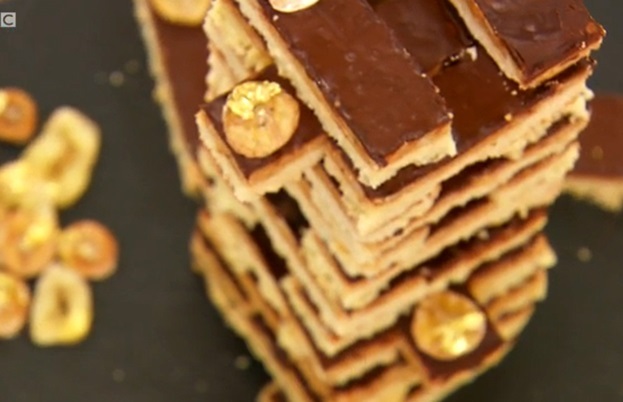 A fantastic theme this week on Great British Bake Off with the good old fashioned traybake and beautiful biscuits. Urvashi Roe, food writer and contestant from 2011, gives us a recap of what happened as we’re at the halfway mark of the show. Fantastic theme this week with the good old fashioned traybake - the backbone of the school fete, an easy way to get a midweek treat on the dinner table, a speedy method for dinner party canapés. I could go on but as we learned in the historical interlude, the traybake originated in my neck of the woods - Norf London! Tottenham to be more precise where Thomas Chalkley, a Quaker baker - goodness I am starting to sound like Sue! - created this simple, affordable sponge cake for the children of the neighbourhood. The sponge was topped with an icing made pink using the mulberries from the tree within the Quaker house. Fascinatingly simple. All this time in Enfield and I never knew! And Frances. Finally! She got a flavour combo right for the judges and delivered style and substance! Hurrah! I loved her Jenga tower of Banoffee Millionaire Shortbreads and was willing the judges tastebuds to regard her favourably and confess to a little cheer and air punch when they did. Howard had a lovely idea with his breakfast flapjacks with a grapefruit topping but I was worried for him and his lack of layering and indeed this was his critique. Ruby, Kimberley and Christine opted for Bakewell based bakes. Of the three I preferred Christine’s Three Berry Bake. It looked gorgeous and I think I might have a bash at baking that with the next batch of berries from the allotment. 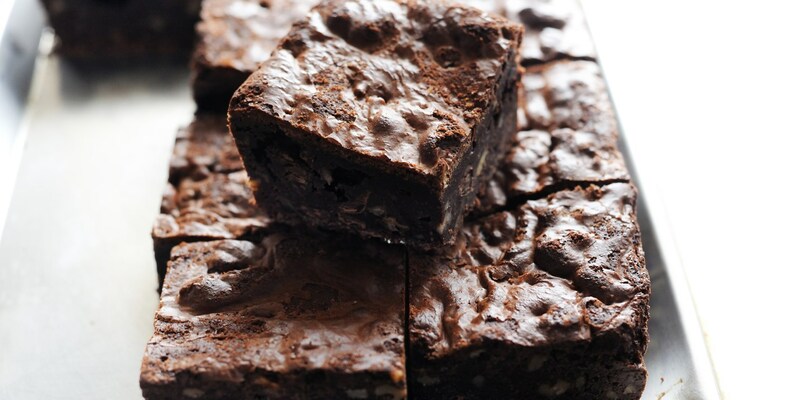 But…but…BUT the traybake I wanted to grab through the screen was Beca’s Hazelnut Chocolate Brownies. Again I was worried for her and her timing. I didn’t think she’d manage to cool brownies enough for gooey vs oozy but thankfully she did. Well done Beca! Technical Tuiles Challenge - Tough! Glenn set the tone with his “80% clueless”. I think most of the bakers were flummoxed by this “exceedingly difficult challenge” as Mary described it. (PS who else thinks Mary should now be doing Mr Kipling voiceovers?). She was looking for a crunch and some twirling action. This was all about timing and speed and how much heat hands could bear. 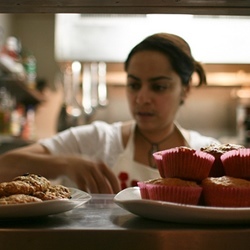 Kimberley was the only one showing some confidence as she had baked a batch last week. Christine and Frances tackled the instructions with their usual look of calm. I wonder what was going on underneath. Howard feared more “crackage”. Christine and Frances needn’t have worried as they came top with Glenn. Rob and Beca had bendy batons but the shocker was Kimberley. For the first time she fell to the bottom of the pack. We saw none of the usual beaming smiles. Was this to be a turning point or a just a blip? The showstopper would be telling. 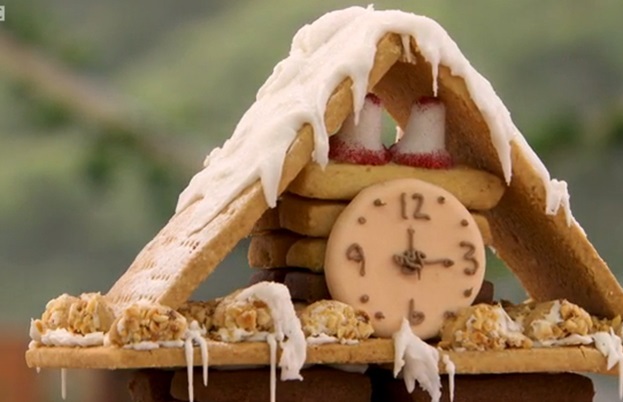 Reminiscent of last year’s gingerbread showdown, the bakers had to bake biscuits to pile up a 30cm high tower which had to be structurally sound with different finishes and different flavours. Of the constructions my favourites were Howard’s Japanese Tea Biscuit Tower, Beca’s Tiered Cake Stand with Iced Gems and Macarons and Glenn’s Cherry and Hazelnut Helter Skelter. I breathed a sigh of relief for Glenn and Howard as Paul munched and approved. Ruby managed to pull through with her upside down ice cream cone which had all the tastes Paul was looking for. Kimberley did not manage a strong structure with Viennese Biscuits and Frances had a pile of biscuit buttons vs a tower. Christine was perhaps the most sensible with her shortbread building blocks. Different flavours built into an Alpine clocktower. ”Stunning!” to quote Mary. It really was a pretty picture to behold and won her yet another top position at the leaderboard and a resulting Starbaker which was well deserved. The most innovative idea was perhaps the Dalek from Rob but it was all too easy to see the links to “exterminate” and after faring badly in two rounds already this was indeed the end of Rob. Such a shame. I loved his scientific approach. Good luck Rob! Hope you do only take a few days off from baking in favour of boiling because I’m looking forward to seeing more of your wonderful creations.